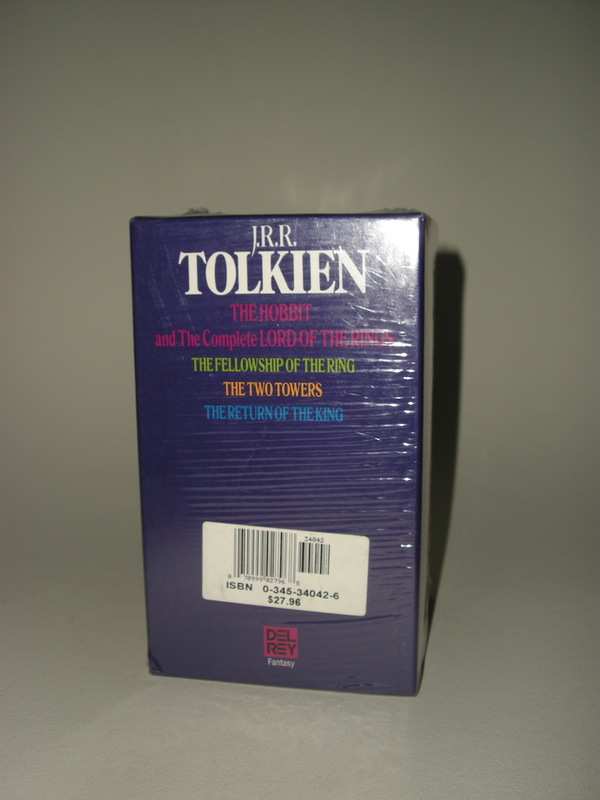 Nice collectable edition of The Hobbit and The Lord of the Rings, hard to find in unread new condition. 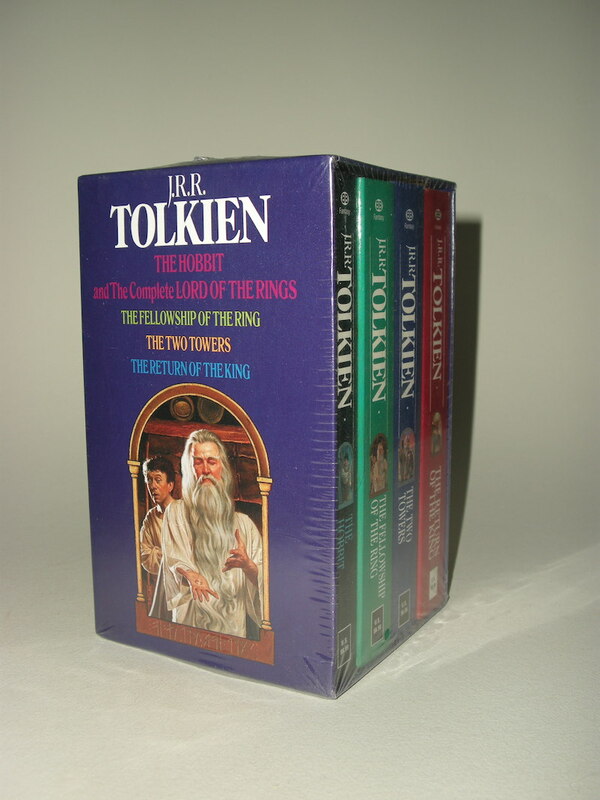 The Hobbit and The Complete Lord of the Rings, 4 volume Mass Market Paperback, box set. Published by Del Rey Fantasy / Ballantine in 1983. 1705 pages. 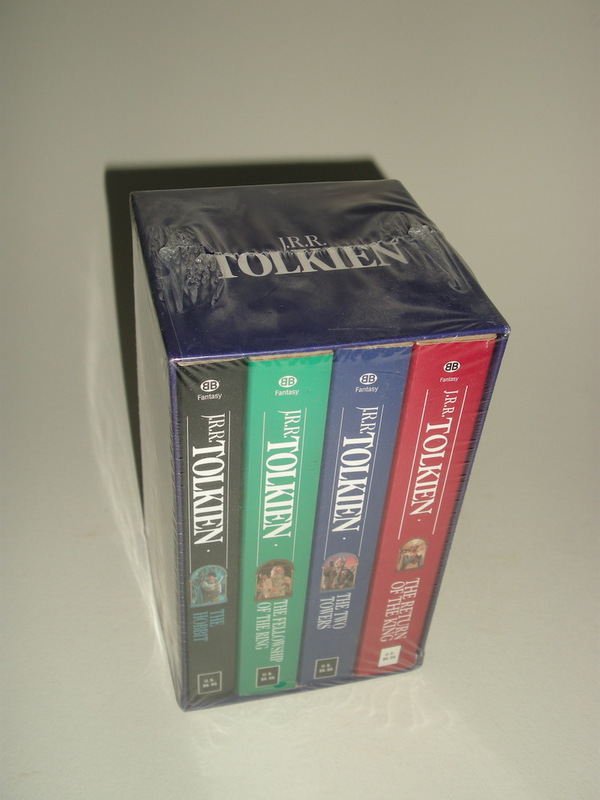 This box set collects the famous Lord of the Rings trilogy and The Hobbit by J.R.R. Tolkien. 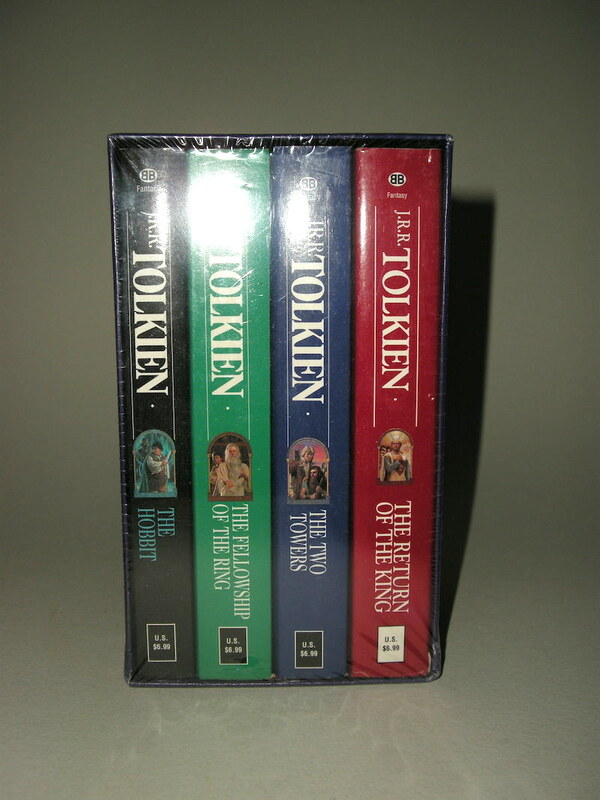 Books included are "The Fellowship of the Ring," "The Two Towers," and "The Return of the King;" all three of which are part of the Lord of the Rings trilogy; along with "The Hobbit." ISBN of this set is 0345195299, but a sticker (stuck outside the publishjers shrinkwrap says 0345340426 (a much later movie tie-in). 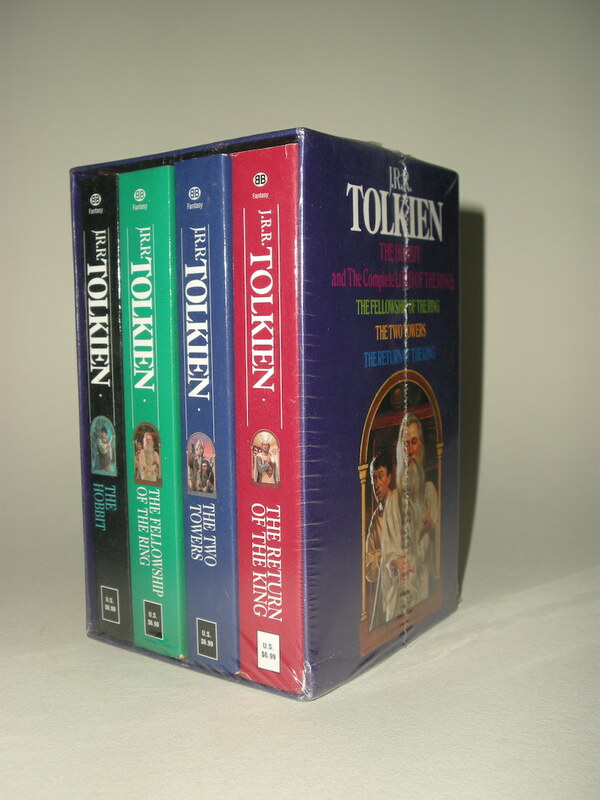 These paperback books are brand new condition. Mint, unread and still in publishers shrink wrap.